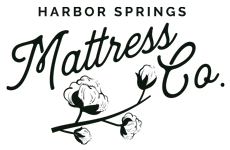 MATTRESSES - Harbor Springs Mattress Co.
Harbor Springs Mattress Co. is a purveyor of the finest sleep on handmade beds and box springs because we hand tuft, use all-natural fibers and craft with passion. We are proud and maybe even a bit stubborn about our focus on quality over quantity. To make an exceptional mattress we build with artisan hand tufting to inner springs because it provides the most enduring support. We are one of the few companies left in The United States who still hand-tuft. We know it is unusual, but we really want you to love your mattress for the rest of your life. This guides everything we do. Mattresses making is not complicated. There are only a few ingredients. However, the details make all the difference in the world to how well you sleep and how long your mattress will last. Handcrafted to order, one at a time ensures the finest luxury and quality. Our hand tufting secures mattress layers by pinning them to inner springs for enhanced comfort and support. Sleep healthier on Mother Nature’s finest natural materials. We only make a two sided mattress so you will love your bed twice as long. Just the right amount of softness and luxury without sinking— because when you are comfortable you sleep longer. We designed our mattress to feel like your are sleeping on a cloud that knows just where to support you. Our hand-tufted natural comfort layers provide softness and pressure relief that hold up like no other. 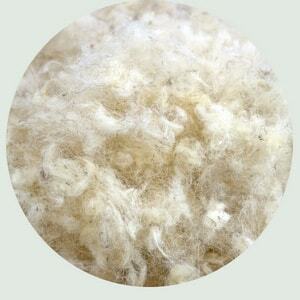 Our natural fibers are stronger and longer lasting than synthetic foams. Sleep cool in summer and snug in winter because of our temperature regulating wool. We use a generous top layer on both sides for maximum comfort. The natural air channels in cotton and wool combine with our ventilated natural latex to give you a breathable bed that is cooler and healthier to sleep on. Because support is the other half of comfort. Here’s how we build in support you can depend on. Without support a mattress will only feel comfortable for a few hours. Our compressed inner springs and hand tufted construction respond to the weight of your body. Our old world craftsman technique of hand tufting will hold the support in place for decades to come. No other method is as supportive or enduring. We add an extra layer of cotton lumbar support just where you need it—along the center of the bed where the heaviest bones of the body rest. This allows correct spinal alignment without sinking. We take every precaution to make sure your comfort will last. Hand tufting reduces shifting of mattress layers by pinning them in place. Other companies have to use strong chemical glues to hold their layers together which can result in shifting and sagging under pressure and movement. 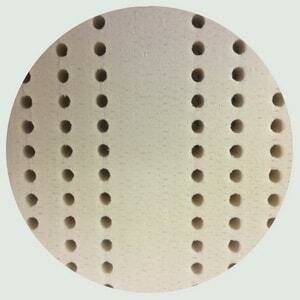 We hand tuft to make body impressions virtually impossible. We believe your sleep surface should be as natural as possible. Carefully selected for their comfort, durability and sleep enhancing properties, our natural fibers are Mother Nature’s finest. Our natural mattresses let you sleep as nature intended. Our natural layers of cotton, latex and wool provide you with a non toxic bed that is free from chemicals and allergens and will not off-gas. Wool wicks away moisture and naturally regulates your body temperature. Our wool is 100% natural and made in Michigan. 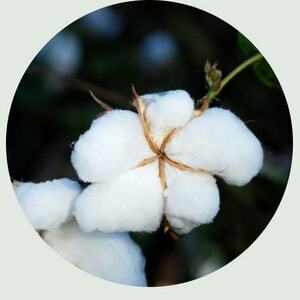 Our pure, unbleached cotton gives you soft, breathable comfort. Made in the USA. Superb pressure relief and comfort from 98% natural latex made from tree sap. gives you the finest bed possible. Love your bed for certain. Remember when mattresses used to last? That is the only way we build them. Very little can go wrong with our mattresses, but if anything does it is fully covered for 25 years. Because we make your mattress fresh to order for you, we can also adjust your comfort level. We will change the comfort of your mattress, for example from semi-firm to soft for no cost in the first year of your ownership because we really want you to love it for a long, long time. At Harbor Springs Mattress Co, we are the opposite of mass production. Instead, we use time honored craftsman techniques allowing us to make a bed we are proud to say will last your lifetime. Our craftsman techniques, including our old world hand tufting are key to your comfort and perfect sleep.